Suggestioni da viaggi in Africa, India, Nepal, Sud America ed Europa.Con una nota di David W. Seaman e Prefazione di Francesco Muzzioli, tra i maggiori studiosi dell'avanguardia. 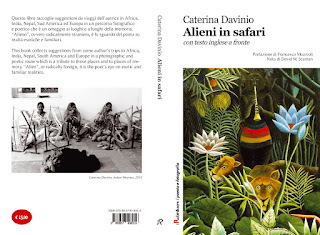 Suggestions from some author's trips to Africa, India, Nepal, South Ameri ca and Europe. With a Note by David w. Seaman and Preface by Francesco Muzzioli, among the major experts of avant-garde. Caterina Davinio (Born in Foggia, 1957): after graduating in Italian Literature, she has worked in the field of new media with exhibitions, meetings and as a curator, in Europe, Asia, the Americas, Australia, including seven editions of the Venice Biennale and collateral events, the Biennials of Sydney, Lyon, Athens, Merida, Liverpool, Hong Kong and many others. 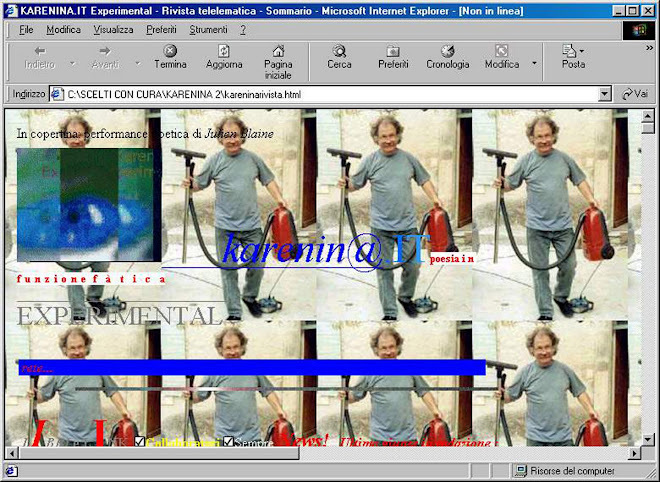 She is one of the pioneers of digital poetry and the founder of net-poetry in Italy. Among her publications are three novels: Color Color (1998), The Sofa on the Rails (2013), Sensibìlia (2015); non-fiction: Techno-Poetry and Virtual Realities (2002) and Virtual Mercury House, about electronic poetry (2011); and the award-winning books of poetry: Serial Phenomenologies (2010), The Book of Opium (2012), Waiting for the End of the World (2012), and Deplorable Facts (2015), and Rumors & motors (2016, digital poetry).